Greece’s war reparation demands from Germany are “legally active and judicially enforceable,” President of the Hellenic Republic Prokopis Pavlopoulos said in his address at the official dinner held in honor of visiting German President Frank-Walter Steinmeier and his wife Elke Budenbender. 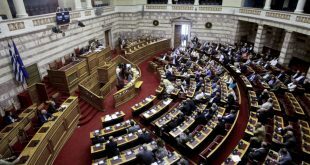 Pavlopoulos said that Greece’s demands were not unilateral or arbitrary but made in the context of a shared international and European legal culture, on the basis of which every side is free to support its positions before a jurisdictional forum. 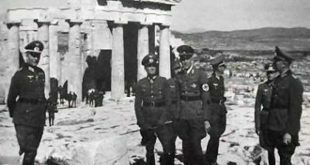 President Pavlopoulos was referring to the enforced loan from the Bank of Greece and other war reparations from the Nazi occupation of the country 1941-1944. The Greek claim is estimated between 180 – 289 billion euros. Pavlopoulos was the second Greek leader to raise the issue to Steinmeier after Prime Minister Alexis Tsipras several hours earlier. 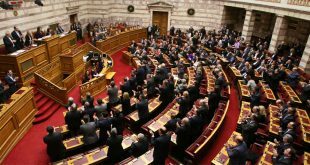 The two EU partners should not ignore any differences arising from the distant past, which should “be resolved on the basis of international law, ” Tsipras said during the meeting with the German President in his office on Thursday morning. Steinmeier responded with the usual German rhetoric when it comes to the country’s Nazi past and said “we have moral and political guilt, we do not want to forget what happened. The German President apologized for the atrocities. 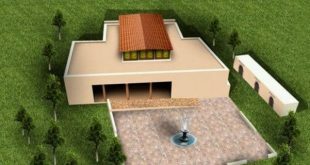 Of curse, the Greeks did not raise only unpleasant issues. 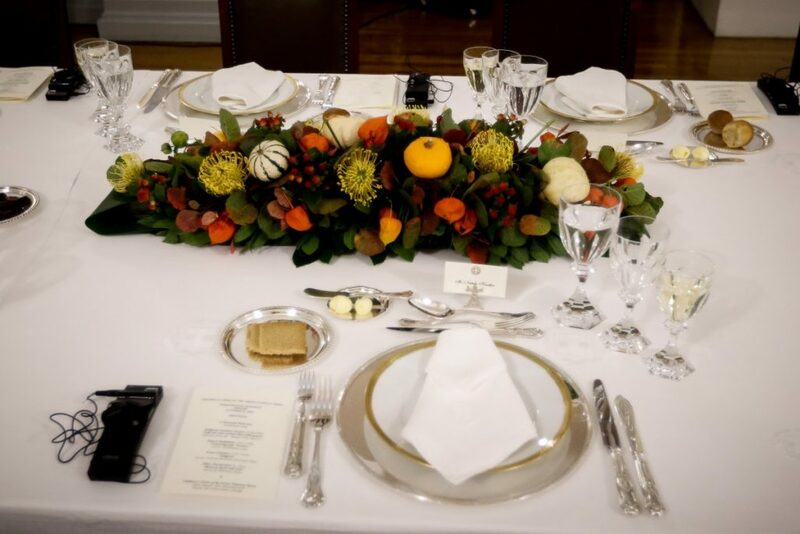 In his adress at the dinner, Pavlopoulos welcomed the German presidential couple as “true friends of Greece” adding that Steinmeier had actively demonstrated his support for Greece during the difficult years of the memorandum programmes, making decisive contributions in the often thorny negotiations of that period. “We Greeks will never forget that you were a champion of the position that, as Greece cannot conceive of its future outside the European Union and the European edifice, so present-day Europe would be inconceivable without Greece in its ranks,” the Greek president said. 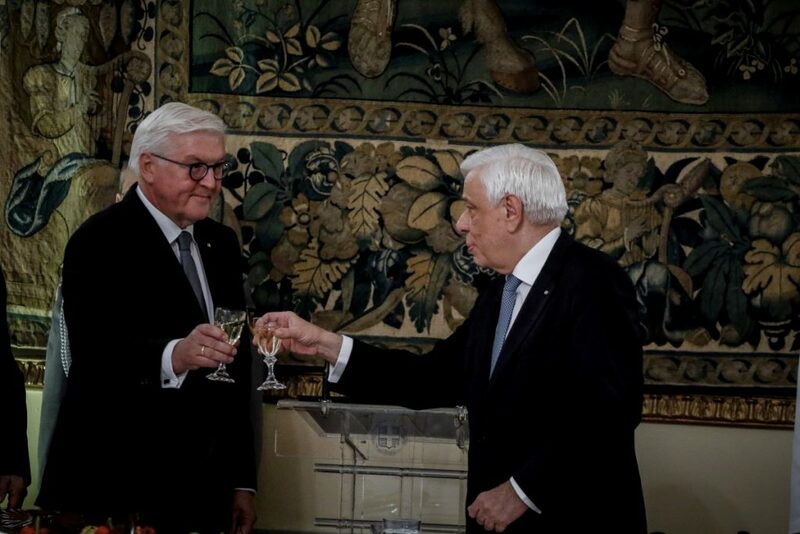 The German President let the Greek claims be …claims and he did not mentioned with with a single word in his own speech. He spoke about the Greek achievements during the Migrations crisis, Europe and things that should unite and not divide the two countries. When the speeches concluded everybody raised a wine glass and drank to the war reparations, each side having in mind exactly the opposite of what the other side was thinking. Then they sat and enjoyed the dinner. 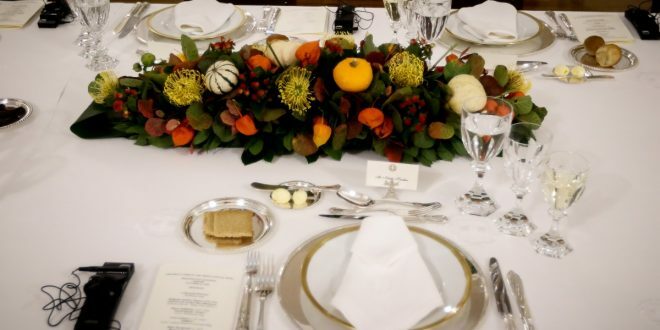 A German friend asked me whether the dinner was lavish or frugal due to the Greek debt and other financial inconveniences. 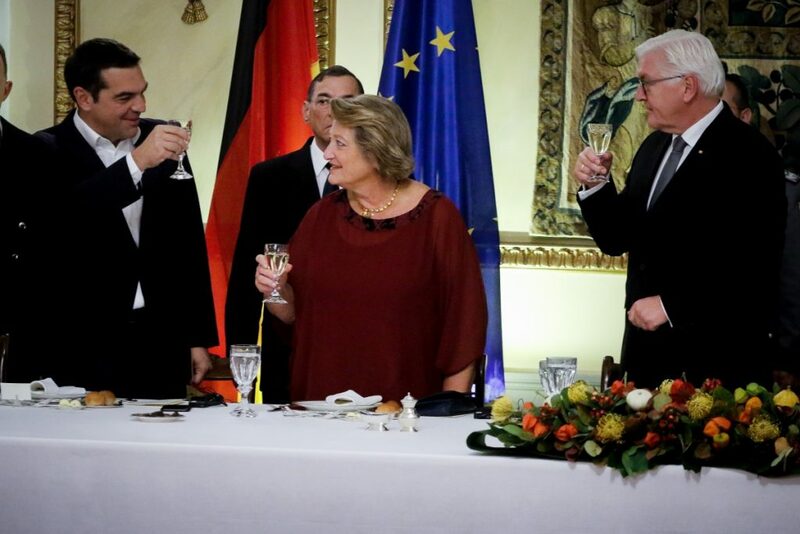 PS much to my knowledge the Greeks slipped into Steinmeier’s pocket the dinner bill.